We're still waiting for her solo trip hashtag! 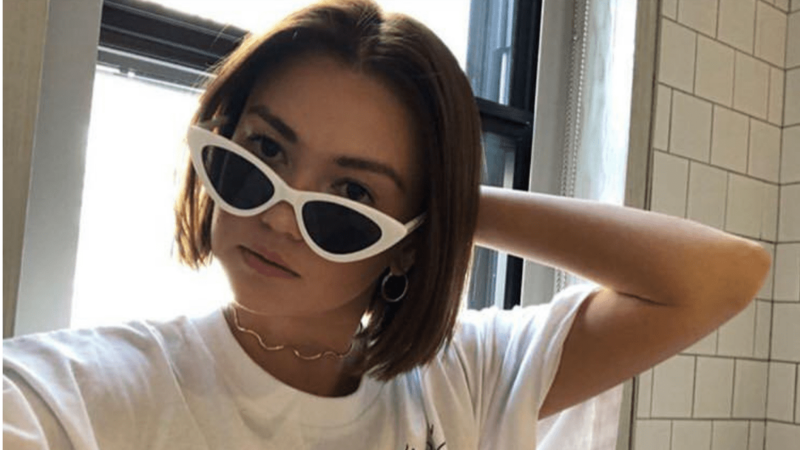 Angelica Panganiban has been taking quite an exciting vacation this 2019. 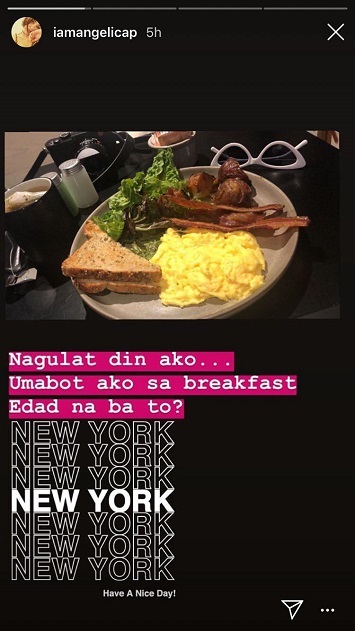 First, she was in Hong Kong, and then she watched the John Mayer concert in Japan with Maxene Magalona and Rob Mananquil, and now, she's back in her favorite city, NYC! 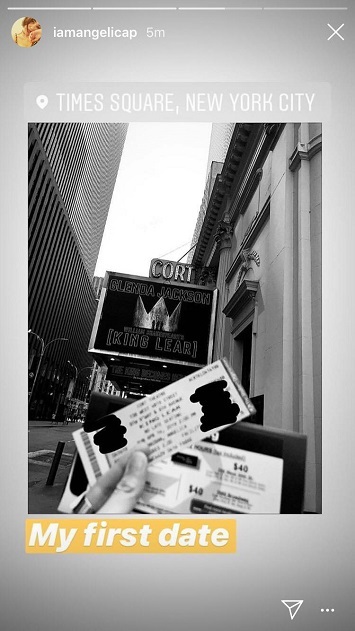 It looks like the Playhouse star arrived yesterday, and she took to Instagram stories to document her activities so far, with her usual charming humor. She poked fun at herself for being able to wake up early and catching breakfast. All made up, she declared she was ready to take on the town, solo-style. First order of business: catch British actress Glenda Jackson's King Lear performance on Broadway. Wow! 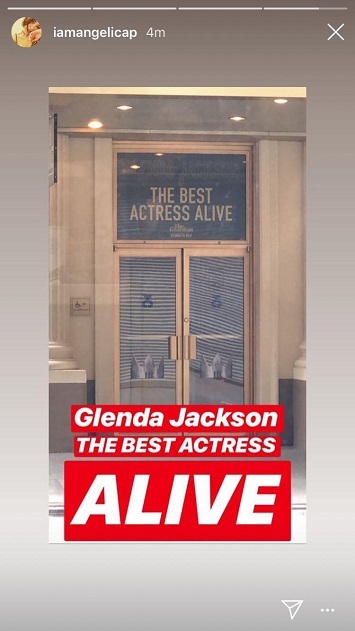 Glenda Jackson, 82, has won Academy Awards, Emmy Awards, and even a Tony Award for her acting prowess. Angelica was last in New York in November 2015 for a solo trip, which she documented on IG with the hilarious hashtag, #AnggetAway. Back then, she shared her shyness to ask strangers to take her photos, and even forgetting to pay the bus! She totally got lost on the subway, too, which is totally okay! Props to her for being such a fearless solo traveler. Angelica's been through a lot in the past few months, especially with ex-boyfriend Carlo Aquino, and it looks like she's really taking time off to take some well-deserved me time. 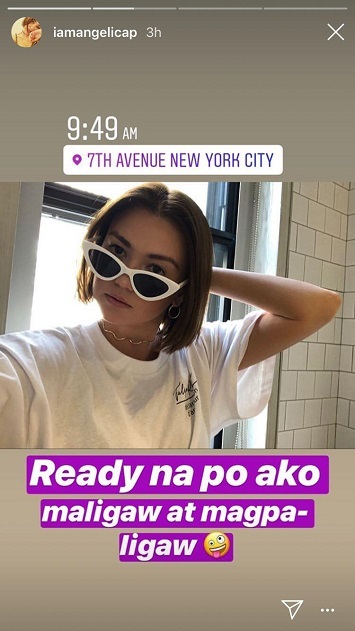 We can't wait to see Angelica's next IG updates on the Big Apple! What do you think is her NYC hashtag going to be this time?